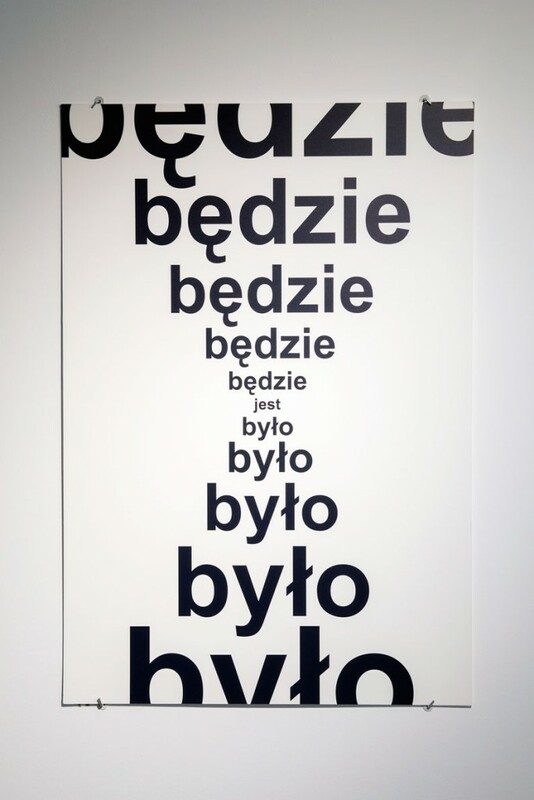 Stanisław Dróżdż’s concrete poetry experimenting with the visual appearance of language originates from a background of literature. Dróżdż studied Polish language and literature at Wrocław University in the 1960s and was an expert in linguistics, both as a theorist and a practitioner. His book Poezja konkretna [Concrete Poetry] published in 1979 consists of a documentation and texts from the period between 1967 and 1977. Similarly to the Polish conceptual artist Jarosław Kozłowski, Dróżdż was deeply inspired by Ludwig Wittgenstein’s concept of language identity, as well as by linguistics and game theory. In his pojęciokształty (ideo-shapes), his aim was to both analyze and visualize its structure, ›language’s reality‹. Stanisław Dróżdż was one of the most influential artists of concrete poetry in Poland and an important member of the Wrocław avant-garde. 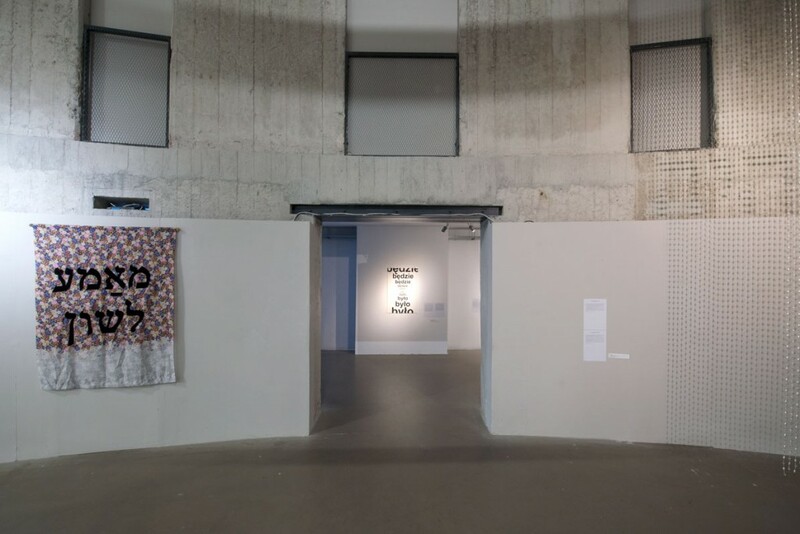 In 2003 Dróżdż represented Poland at the Polish Pavilion at the International Biennale of Art in Venice with a work based on language as well as the performance Alea Iacta Est / The Dice Has Been Cast. The Hour Glass is a long-term project realized between 1969 and 1990, in which the words ›was‹, ›is‹, and ›will be‹ are arranged to form the shape of an hourglass. The composition, of which 54 variants were realized, refers to contemporaneity and time passing. One of its variants is presented in public space, on the façade of Wrocław Contemporary Museum. Stanisław Dróżdż (*1939 in Sławków), studied Polish language and literature at Wrocław University and died in Wrocław in 2009.